Lots of essential tools including bottle opener, large and medium screwdrivers, straight and serrated cutting edges. Perfect for snipping off loose threads, or bits of paper that need trimming. 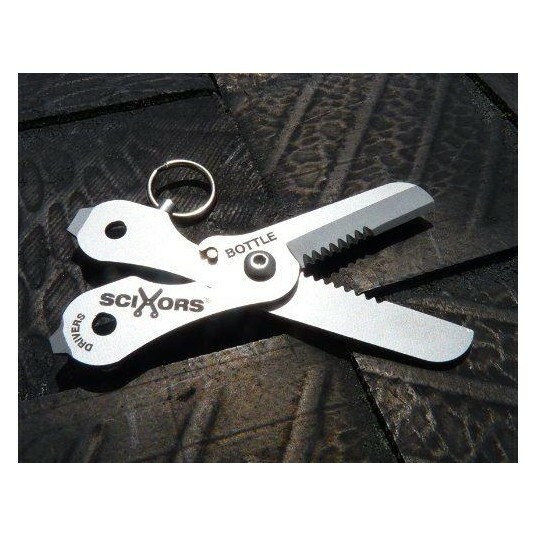 Stylishly sits alongside your keys, Simply pull the quick release pin and the automatic sprung SciXors tool is ready for use Stainless Steel.